Chileka-based reggae group Black Missionaries has said they do not belong to any party and do not take any sides. The group’s lead vocalist Anjiru Fumulani said this in an interview on Saturday soon after finishing their performance at Mibawa Multipurpose Hall in Blantyre. With so many artists performing and composing songs for different parties, Black Missionaries has not been left out. 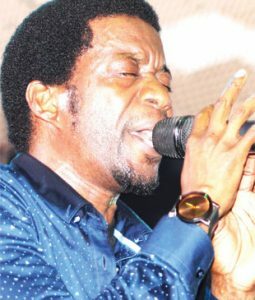 “We have no side and do not represent any party, let alone composing any song, [for parties] but we work with any party to entertain people and when we are invited we perform our own songs,” Anjiru said. Recently, Skeffa Chimoto also came out to say that he does not represent any party, let alone compose songs for parties, but performs his own songs when hired. “But as citizens we will take up a role to vote in the 2019 elections. Let me also take this opportunity to call upon people to go and register especially those who have not done so to have a chance to vote,” he said. He said they will also continue taking a lead role in disseminating messages on the importance of voting ahead of the 2019 elections but also for people to refrain from violence regardless political affiliation. Meanwhile, the group Sunday released a statement informing their fans of their failure to perform at an event organised by Democratic Progressive Party (DPP) on Saturday in Phalombe District. The reggae group said the decision was reached following thorough consultations with management after learning that there were two events in the same area. “Much as we appreciate the fact that we have had a good business working relationship with DPP or its members for many years, we have also taken into consideration one of our principles, that of non-alignment in political matters,” reads the statement. The group said they feel that their appearance at either of the two events would be misinterpreted by some quarters. Black Missionaries said it does business with any person regardless of their political or religious affiliation. “Ma Blacks works with both the ruling and opposition politicians and parties by performing at such events,” reads the statement. The show at Mibawa, which attracted an impressive audience, saw Black Missionaries perform for close to three hours dishing out songs from their Kuimba albums including the latest Kuimba 11. “It has been sometime since we performed at this venue. We are thankful for the support we continue to receive and let me also say that Kuimba 11 is doing well at the moment”, he said. Anjiru also urged people to buy original CDs and not pirated copies and get the message in the album. He also said they perform for long hours because they are used and that they used to do that even during the times of the late Evison Matafale. Anthony Makondetsa, who has just launched his latest album Ndagwira Mbendera, also performed to his best at the show. There were also performances from Yanjanani Chumbu and Khonzie Masimbe and Mibawa Band. The show lived up to its billing as people enjoyed perfect sounds. The show went all the way to the early hours of Sunday.